During my student tenure at MIT, I expressed and increased my sincere devotion with respect to broadening participation in STEM. Ultimately, I became co-director of the MIT Womens’ initiative, which allowed me the opportunity to give presentations to multiple cities within Northern America to audiences composed of secondary school girls. During my final year in graduate school at MIT, a friend and I gave such a presentation in California. This presentation was a turning point in my life, both personally and professionally. By sharing cramped living conditions for almost two weeks, more than 3,000 miles from home, we learned a lot about each other. Before leaving for our trip, I was generally looking forward to sharing an academic experience based on our mutual interests and goals. I approached it without any real emotion, just grateful for the opportunity to share an important goal with a like-minded colleague. Our personal relationship became strengthened as I found out more about my friend as a result of us sharing a living space, facts that I never before imagined. I learned more about her situation, for example, some of the financial struggles she was up against and the lack of uniform parental support that caused her hardship. In order to put herself through school she was serving at a restaurant and she spoke about how difficult this was: how little sleep she got; her challenges with her limited living space; and how she was studying computer science—in part—to be able to afford educational opportunities for her own future own children. She spoke about how her mother had said she did not need to be educated because—of her gender—she would only become a homemaker. I never knew how much she had struggled merely because of her gender. I was emotionally impacted by all of this. The magnitude of the emotions that I felt were indescribable. I felt mad, sad, angry, depressed, and yet full of pride for my friend. Though my lived experience was different from hers, her pain, her sadness, her bitterness, and her resentment of those family members whom she felt were not supportive resonated with me. I had thought I was just going on a routine business trip with a colleague, and it turned out to be an eye-opening experience for me. Part of the reason her story spoke to me is because I am a transgender woman. My STEM journey has been similarly marked by gender-identity. Obstacles that I have encountered along the way have further enlightened me on the challenges some women face in the field of STEM, and this has helped strengthen my own identity as a woman. Having undergone gender reassignment surgery more than two years ago to become fully female, one of the most supportive and accepting communities I am part of is that of women in STEM. I recently saw my MIT friend at a meeting for a well-known software company in Cambridge. I asked her how she was doing and she responded that she was getting more sleep and was engaged. I felt so glad that she was doing well, and felt so unbelievably ecstatic that I may have played a part in her success, simply by listening and providing her some encouragement and support. Largely because of this encounter, I have shifted most of my research efforts to focus on broadening the reach of mathematics education, rather than simply mathematics. Ever since that turning point, I have focused all my resources on STEM education and outreach and I have never been happier. Amy Beth Prager is an applied mathematician whose research focuses on improving gender (and other forms of) diversity within STEM. Her primary interest in the 21st century is in CS/STEM outreach to young women and girls, which is derived from her rare perspective on these matters. 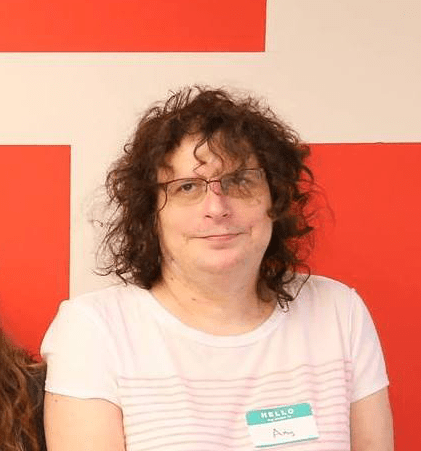 Amy is a postoperative transgendered woman, who has been both a male and a female in the technology industry, and she sees the vast differences in perception and treatment that she feel no cisgendered person could ever realize. Amy is extremely passionate about these issues and would welcome the opportunity to be an integral part of any diversity awareness program in the U.S. or globally. Thank you for sharing. You certainly love you! Do have a special perspective to share with those of us also interested in diversity issues in STEM. Thank you for your voice and insights!